Do you like getting more drink for your buck? The only difference between bottom shelf and top shelf liquor is that it was aged longer. How would you like the 20 year scotch taste for the 8 year old price? Or, turn your cheap bottle of whiskey, tequila, rum, bourbon, scotch, brandy or cognac in to a delicious bottle of single barrel, hand crafted reserve? What took them years to do in a large 55 gallon oak barrel you can do at home in just a few weeks. You can! You can also take a $40 bottle of wine and turn it in to a $400 bottle of wine. You can do it all in a Red Head Oak Barrel in just 4 - 6 weeks. 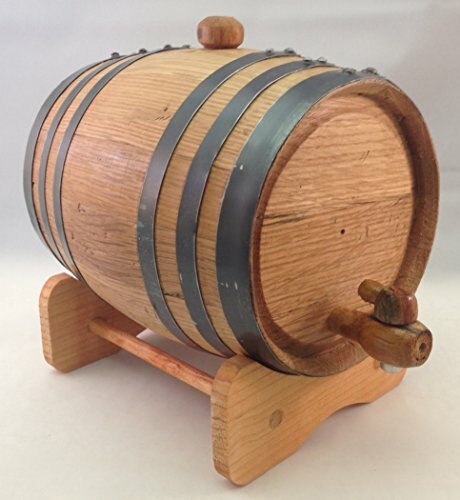 These mini American Oak barrels are hand-made by a multi-generational Cooper. They make great gifts since they can be custom engraved for personal pride or great for corporate branding. You can now age and flavor your liquor and wine to the taste you prefer. If you have any questions about this product by Red Head Barrels, contact us by completing and submitting the form below. If you are looking for a specif part number, please include it with your message.